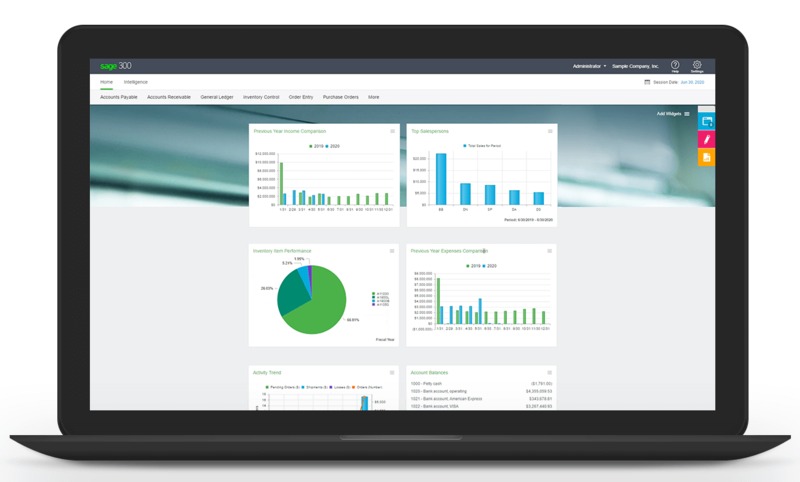 Sage 300cloud (formerly "Sage Accpac") is cost-effective business software that provides a range of features for managing accounting and financial reporting, business intelligence, inventory control, CRM, human resource management, payroll, and more. Sage 300cloud offers anytime, anywhere, and any-device access to your business and transaction data so you can stay productive and connected, even when you're away from the office and on the go. Anywhere, anytime access is critical to supporting your mobile and geographically dispersed business. Need Pricing or Want to See a Demo? Click below to find a Sage 300cloud Reseller in your area that can provide more product detail, an in-depth demo, or quote for software. We'll connect you with a Sage Authorized Partner who can provide more detailed information, pricing, or online demo of Sage 300.